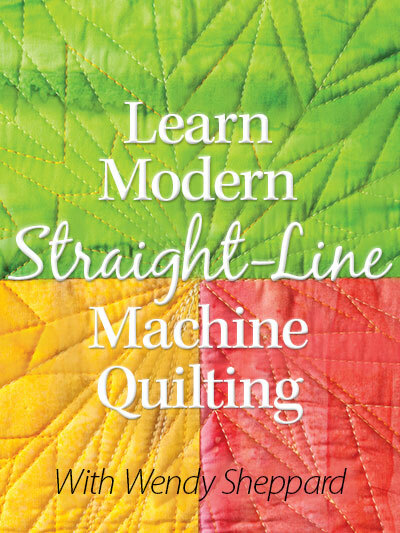 Hello Friends, last year I shared about working on a quilt I nicknamed my “Iron Man” quilt because of the short amount of time I had to complete the quilt and the large amount of HST’s I needed to make for the quilt. And on top of that, I wanted my points to match! 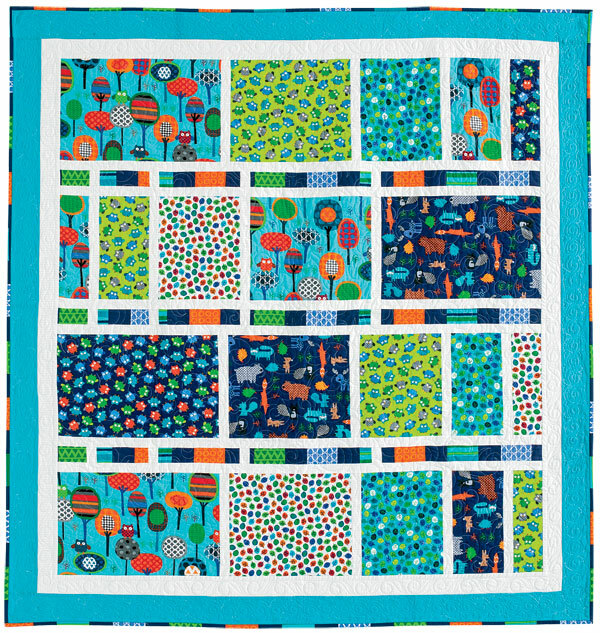 The “Iron Man” quilt eventually took on a much more “quilty” name — Color Burst. You may click here to view more pictures of Color Burst / “Iron Man”. Well, I am back at Iron Man-ning it this year — don’t know how — but here I am. I have no idea what I am naming this quilt. Right now it’s Iron Man II, and those HSTs finish at 1.5″. You know how I feel about piecing. All I can say is I probably have another screw loose! 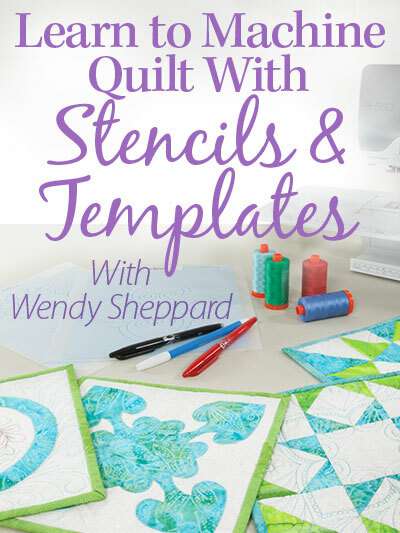 I had a lovely time with the sweet ladies of Mount Vernon Quilt Guild yesterday. Last night, with all sincerity, Miss Baby asked me, “Mom, how was your class? Did you have to take anyone to the principal’s office?” She wasn’t even trying to be funny! 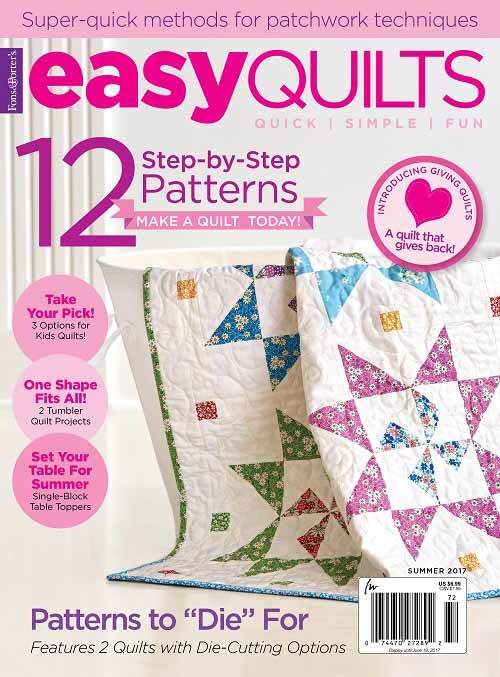 I finally had a few moments to random-generate and pick the winners of my McCall’s Quick Quilts (August/September 2014) giveaway. 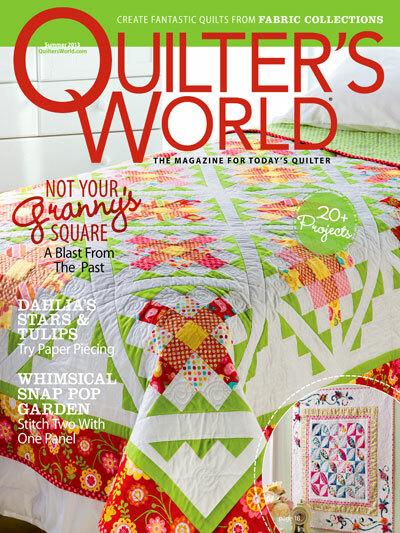 My Owl Be Your Friend quilt is featured in that issue. The Winners are #16 (Maryellen) & #30 (Danielle Kenyon). Ladies, if you would send me your mailing address, I will get the magazines sent to you asap. Congrats to the winners, and thank you all for playing. That’s all for now – Dear Friends. Thanks for stopping by. Please stop back by tomorrow for another giveaway! Till then. Ooh, Color Burst is beautiful!! 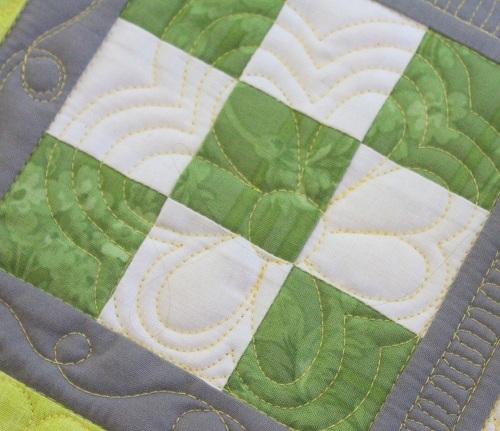 Your points match beautifully and the quilt is quite spectacular! Ironman is gorgeous! I have that pattern on my bucket list. Thanks so much for choosing me as a winner! I’m thrilled to get ones that have your designs. Thanks. Hmmm…. You sure that isn’t “IronWOman”? 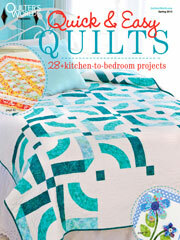 And a name like “Old Maid’s Ramble” might say something about the original quiltmaker. I doubt she made hers in 5 days, so it’s time to breathe. What technique do you use to make all those precise HST? 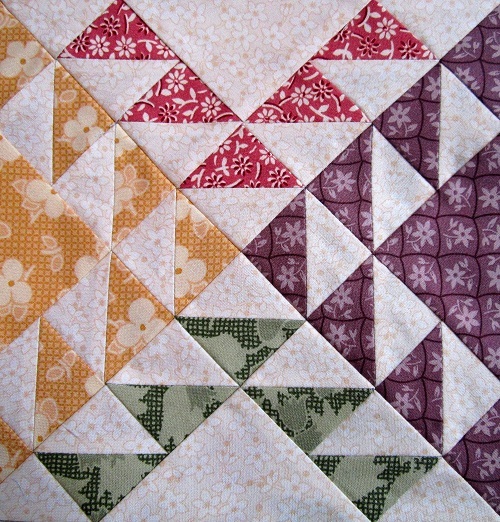 OMGoodness…..that is a lot of tiny HSTs!!!!! Maybe “Insanity would be a better title!!! Seriously, they look terrific and you did such a great job matching those points. I’ll bet you spent hours trimming those little buggers! LOL! Sending someone to the principal’s office? That is so funny! Iron Man I is beautiful, I can’t wait to see Iron man II. “Kids say the darndest things,” a quote fro Art Linkletter years ago, way before your time Wendy………but they still do. Love the thought process of Miss Baby. I need to proof more carefully, the quote is “from” Art Linkletter. 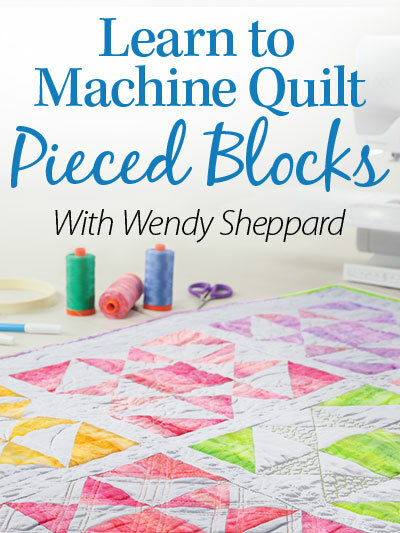 Oh wow – that is a lot of piecing! Color Burst sounds like an apt name. Love Miss Baby’s comment! Beautiful iron man quilts. That is a lot of work. Wow you are so talented. I’m just learning how to out points together, and I though that 300 + was a lot. 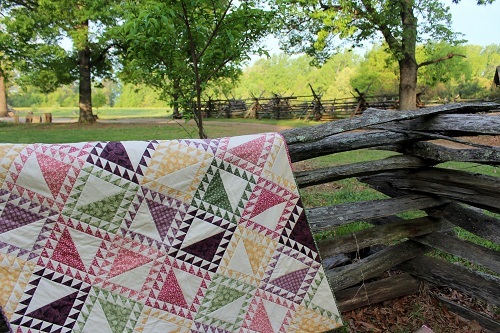 Your triangles are amazing and the quilt is gorgeous!!! 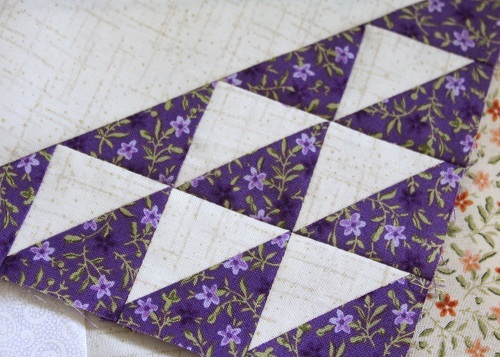 What piecing method did you use for the triangles? ?